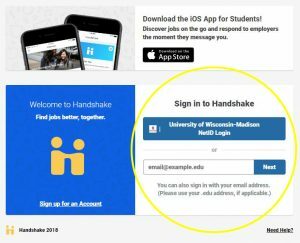 Handshake – Connect to Jobs, Internships, & Career Events! We’ve preloaded your profile to get you started. Please note that your profile’s default setting is set to “hidden.” Employers, alumni, and students won’t be able to see anything until you choose to unhide it.